James makes his number one priority protecting, serving, and educating his clients. Put my experience to work for you ! "We never doubted that we would receive exceptional service from James Potenza as we are a repeat customer. However, we never could have imagined we would have a solid deal on the sell of our home in just three days!!!! James kept us informed and in the loop every step of the way. There was never any stress on our part as we knew James had our best interest in mind. I highly recommend James to anyone looking to buy a home or sell. You will not be disappointed in his level of professionalism and knowledge. James is an internet marketing guru. He uses multiple online syndications where your home listing will appear. Literally 1000s of home buyers will see your home for sale. James also has a Maximum Exposure Marketing Plan available. Using this premium marketing package can expose your listing to as many as 50,000 potential home buyers. Professional quality photos, Virtual tours, Video walk through, and staging ensure buyers are attracted to your listing. For Buyers – Representing your best interests without a conflict of interest. Over the years, James has spent a lot of time with home inspectors and has undergone numerous inspection training courses. James is Residential Construction Certified (RCC) and is a Certified New Home Specialist (CNHS). James has learned how to “pre-inspect” homes by pointing out problems. He feels there is no reason to spend time on a house that has too many costly defects. His clients are pleasantly surprised and sometimes shocked to have a Realtor immediately point out problems to be concerned with. James is an expert negotiator and can get the lowest price the sellers are willing to accept. He also negotiates any repairs found on the inspection report. Buying a new home from a builder takes a lot of skill and experience. James ensures his new home buying clients get the best deal possible on a well build new construction home. This is a free service to his home buying clients. James has proven to save his clients $1000 of dollars when buying a new construction home. James is also a relocation specialist and has undergone specific relocation training. (ARELLO certified) James also understands the need to help his clients "buy right" so that the new home will remain marketable and to have several backup plans in place so that there is no interruption in the relocation process. "Communication is the key to a successful relocation. I keep the entire "team" up to speed on the progress of locating and purchasing a home and carefully listen to the needs of my clients and their corporation." James earned an Electronic Engineering Technology degree and had previously worked for technology companies since 1990. 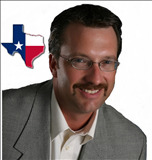 He implements his analytical and methodical skills to enhance the home buying or selling process for his clients. James also brings over 25 years in customer service and management skills to the negotiation table for his clients. James has attended many negotiation courses and combines his knowledge and experience to get the best deal for his clients. He started his Real Estate Career in 1997, as an investor, which taught him the creative financing, buying, and selling aspects of Real Estate. Now, James integrates all of his experience and skills into a complete and highly specialized Real Estate Agent for his clients. He considers himself an expert negotiator for his client's behalf and always has his client's best interest at heart. James takes great pride in finding potential flaws in construction or lack of maintenance in all of the homes he sees. James uses his experience working with buyers to get your home sold fast. He knows what home buyers are looking for. "My clients expect the best and that is what I give them, 100% loyalty and commitment"
James has undergone numerous training courses specifically designed to provide outstanding representation for his clients whether selling or buying a home. I believe in providing superior service as I guide my clients throughout the entire home buying or selling process. My philosophy is very honest and to the point....provide superior service so that you will tell your friends and relatives about my services. My business depends on the many referrals I receive. Give me a call 800-301-9122 to discuss your Real Estate needs. You will be pleasantly surprised that I am not a "pushy realtor" and I only give out valuable information for your specific needs. So…you can make an educated decision. And…yes we do climb in the attic with a flashlight. How many other “buyer” agents do that? Here are a few of the things we visually inspect in every home we visit as we educate our home buying clients. Our "pre-inspection" is for information purposes only. We always recommend a third party inspection. Our "pre-inspection" helps eliminate homes that might need costly repairs or are not built well for energy efficiency. We also provide an energy efficiency estimation of the home by evaluating the roof structure, seer rating on the HVAC, window construction, and insulation performance. "James also showed us things to look for in purchasing a house: A/C, heating units, foundation, roofing, windows, etc. I felt I was getting a pre-home inspection"
"Communication is the key to a successful relocation. I keep the entire "team" up to speed on the progress of locating and purchasing a home and carefully listen to the needs of my clients and their corporation." "Anyone looking to buy a home will benefit from having someone with the experience and skills that James has on their side." "I am hoping someone I know will say that they are looking to buy a house so I can start referring people to you. You are a good person, and I want people to know that and I want you to benefit from doing right by people." I will NEVER try and "sell" you anything. I represent your best interests !